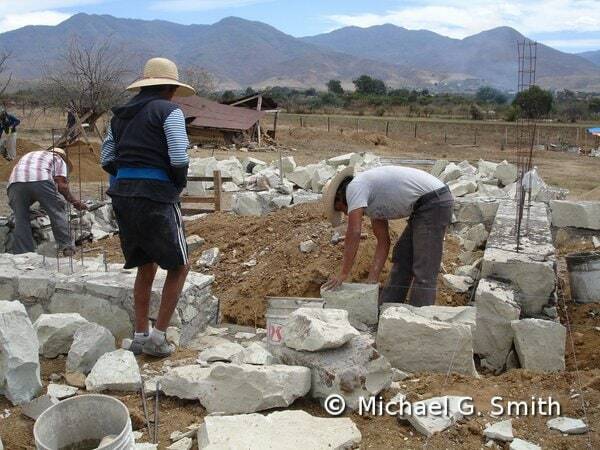 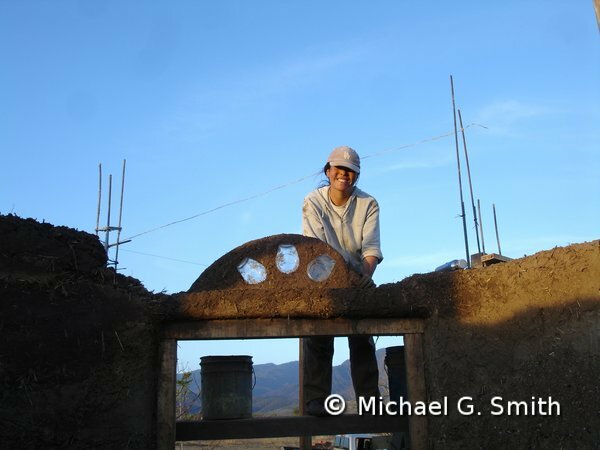 In February 2010, Cathy and I went to Oaxaca, southern Mexico, to work with our friend Valentina Mendez Marquez. 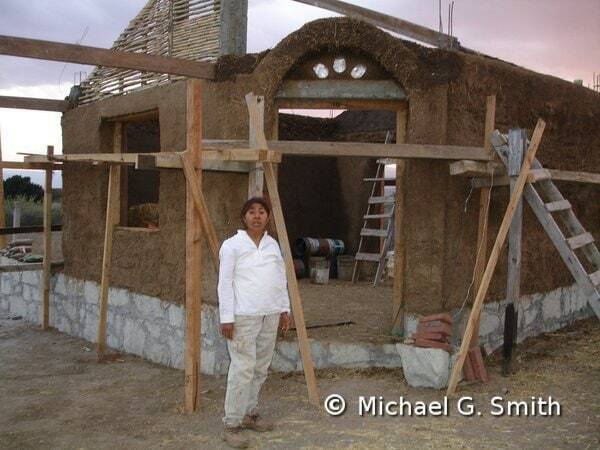 Valentina is an architect who has tons of experience with adobe and was interested in expanding her natural building repertoire. 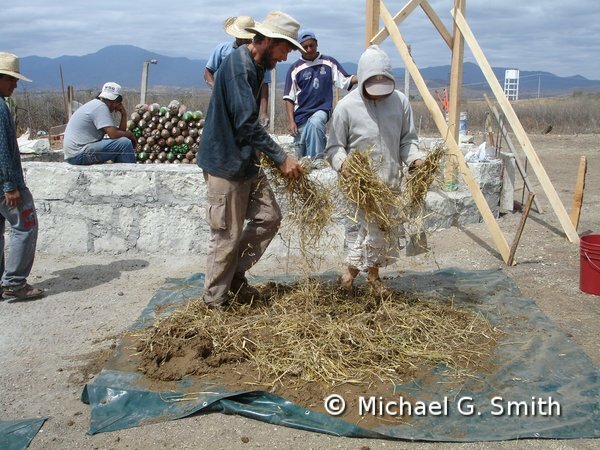 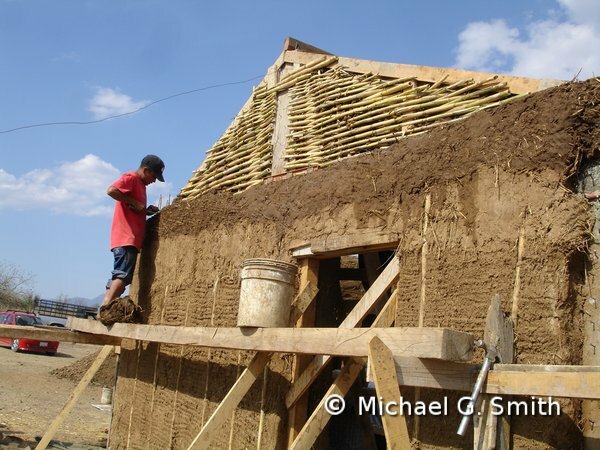 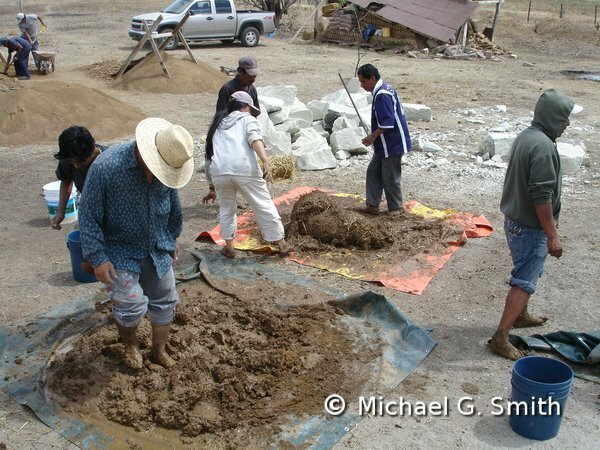 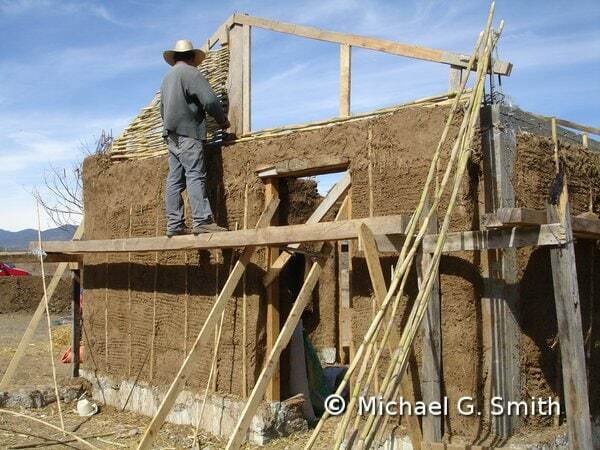 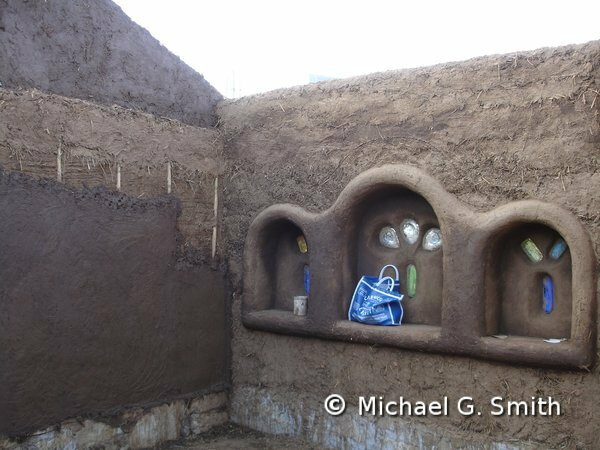 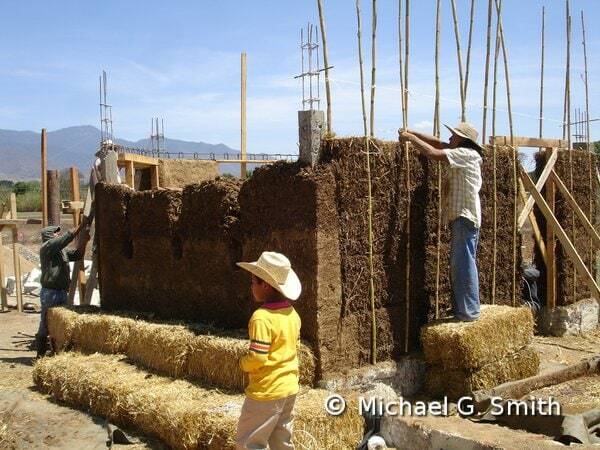 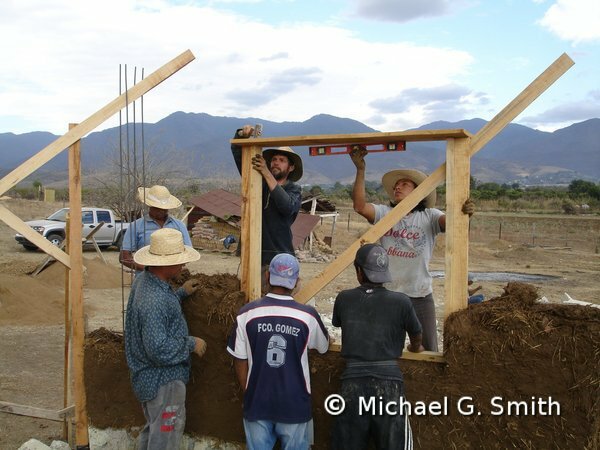 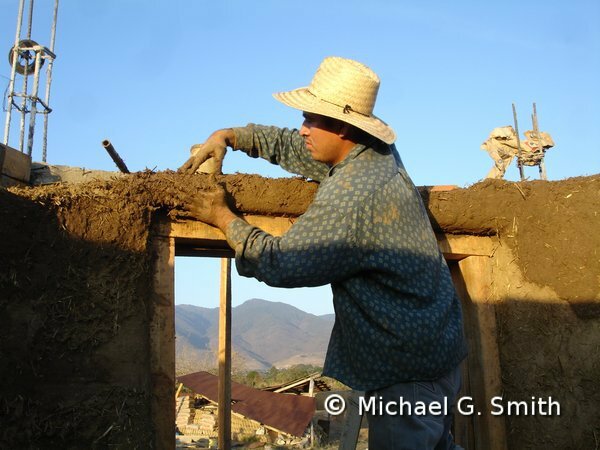 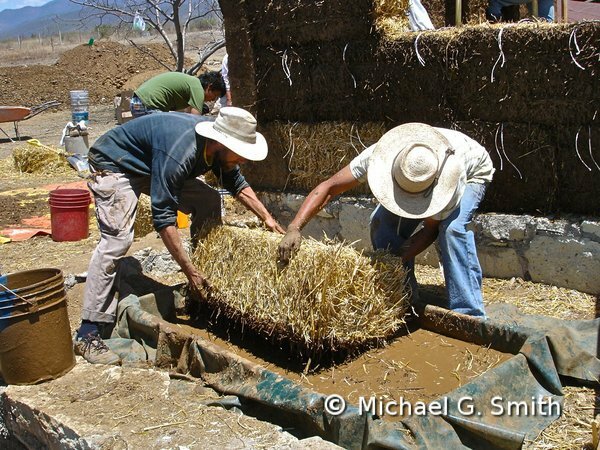 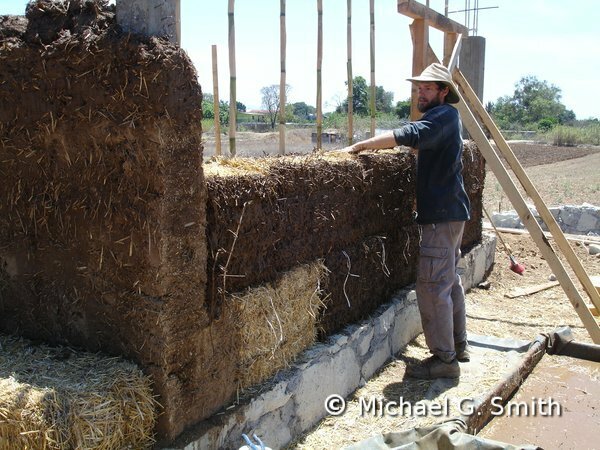 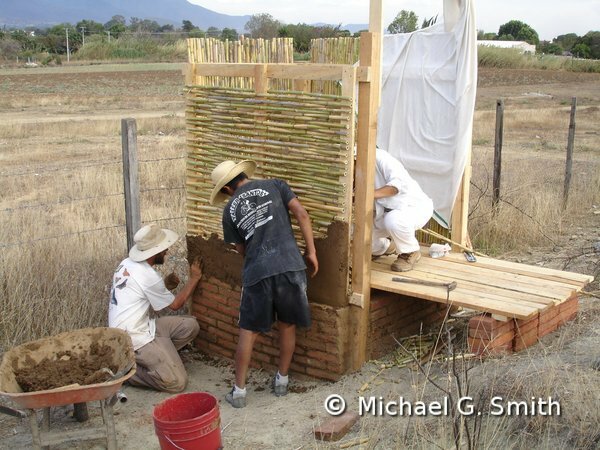 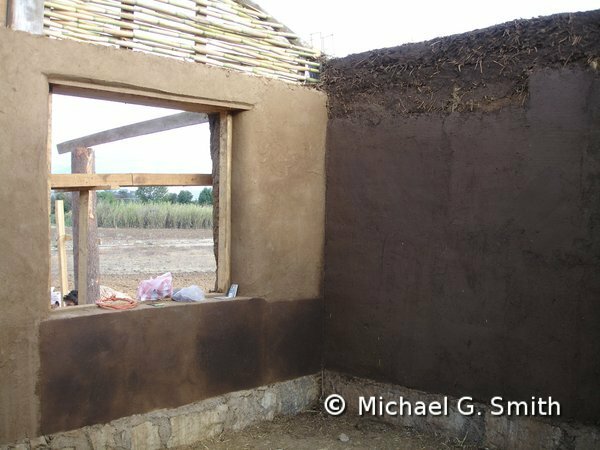 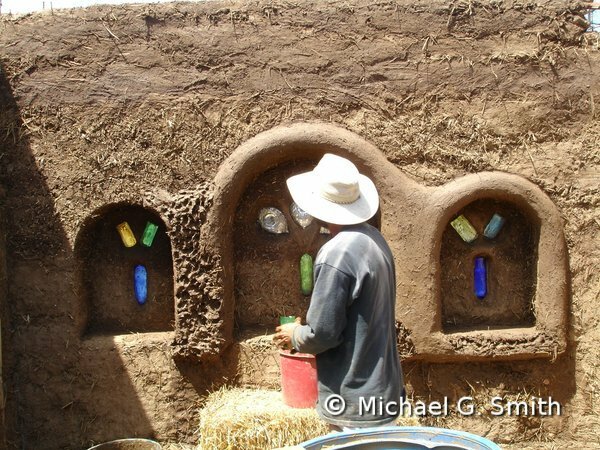 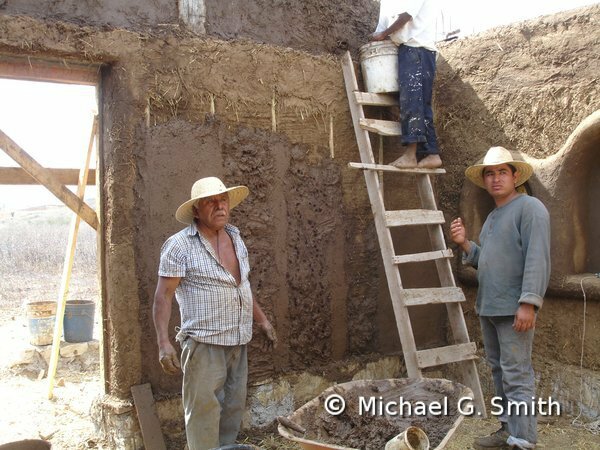 We spent two weeks building a small demonstration structure on her land about half an hour’s drive from the city, training her building crew in cob, straw bale, wattle-and-daub, and earthen plasters. 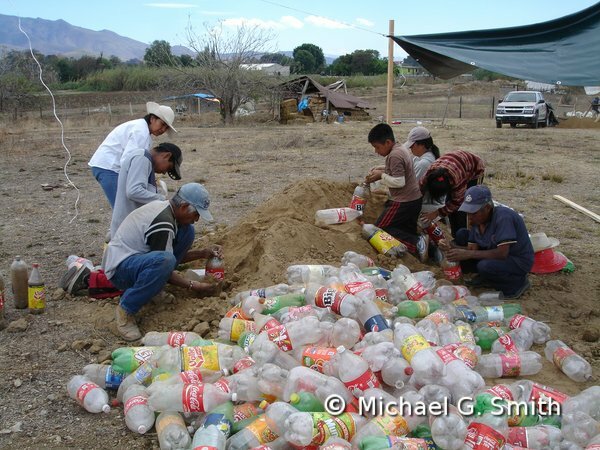 Valentina was especially interested in incorporating discarded plastic bottled into the structure, since plastic trash litters the surrounding landscape and she wanted to help people see it as a valuable resource. 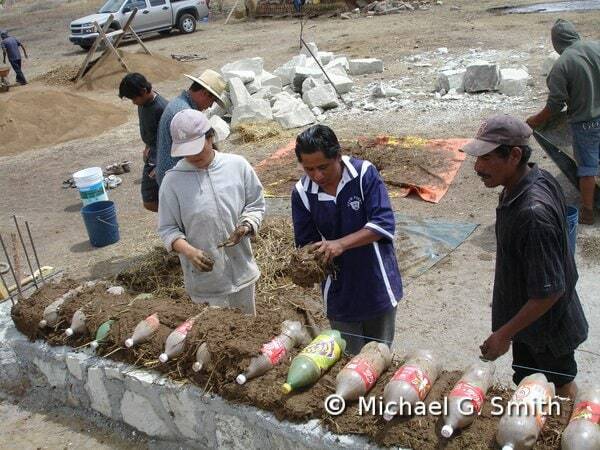 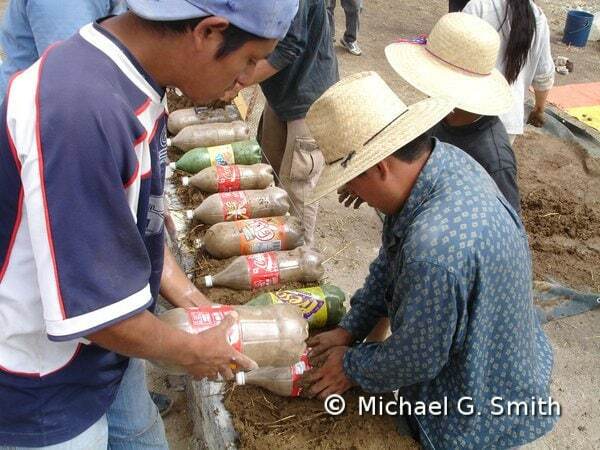 We filled the bottles with sand and used them as bricks in a cob matrix. 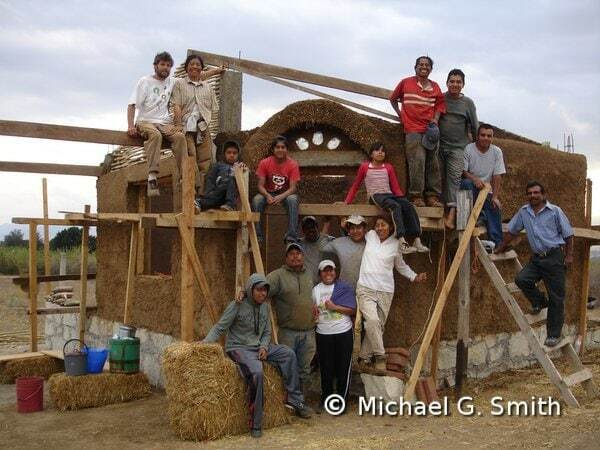 Valentina took all of these photos. 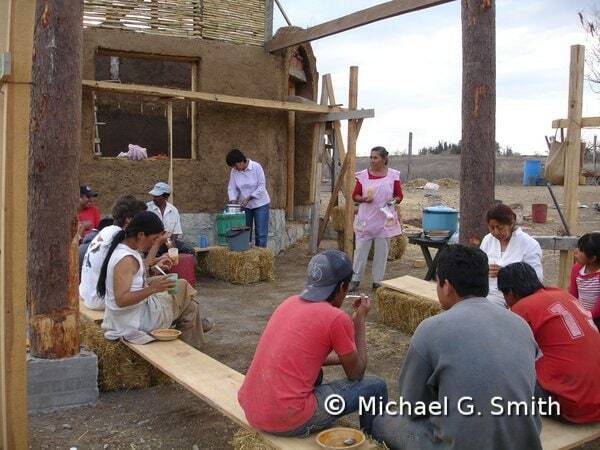 Thanks to her and Dulce Maria for being such wonderful hosts.